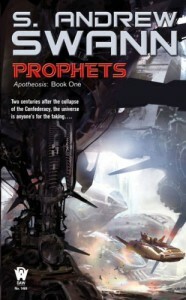 Fun space opera with fairly interesting characters and a lot of good ideas. This book was so-so, pretty slow moving, for the first half then picked up momentum leading toward an ending that really sets this series up nicely. If this were a stand alone book I would be less enthusiastic, but as the opening book of at least a trilogy, it works well.